Spotify leads the world’s on-demand subscriptions with six million paying subscribers, but it’s facing stiff competition from a company that isn’t even available in the biggest music market on the planet: Deezer, which tells us it now has over four million paying subscribers to its “premium plus” subscription. Though you cannot access it from the United States, Deezer is available in more territories than any other on-demand service, according to this data. And like Spotify, MOG, and other subscriptions, it has seen usage increase follow its integration with Facebook, so that people can see what their friends are listening to on there. 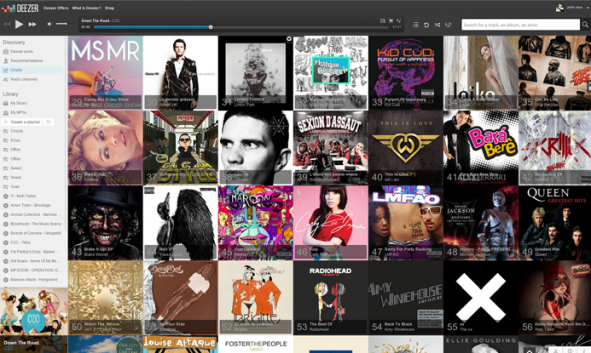 Deezer has over four million paying subscribers. It also has 25 million tracks, which is five million more than Spotify says it has (not all of these are likely available in all territories, in the case of both services). Deezer has 10 million monthly active users. Spotify, on the other hand,says it has 24 million. If we are to take these numbers at face value, it means that Deezer’s conversion ratio from free to paying is about 40 percent, while Spotify’s is about 25 percent.